Note : Here, I have used apache-tomcat-7.0.47.tar.gz binary distribution. Settings will be different for Tomcat native library (APR). Is CN=SrcCodes Dot Com, OU=SrcCodes.com, O=SrcCodes Pvt. Ltd., L=Kolkata, ST=WB, C=IN correct? Filepath (say "c:\tomcat7\conf\srccodes.jks") where keystore file will be generated. Password of the keystore to be used by Tomcat. If not provided, then default is "changeit". Password of the self-signed certificate generated in the keystore. If not provided, then it'll be same as keystore password. Open <tomcat-installation-directory>/conf/server.xml in a text editor. Provide keystoreFile, keystorePass and keyPass values as given in Step #1. Start the Tomcat server. Otherwise restart if already started. 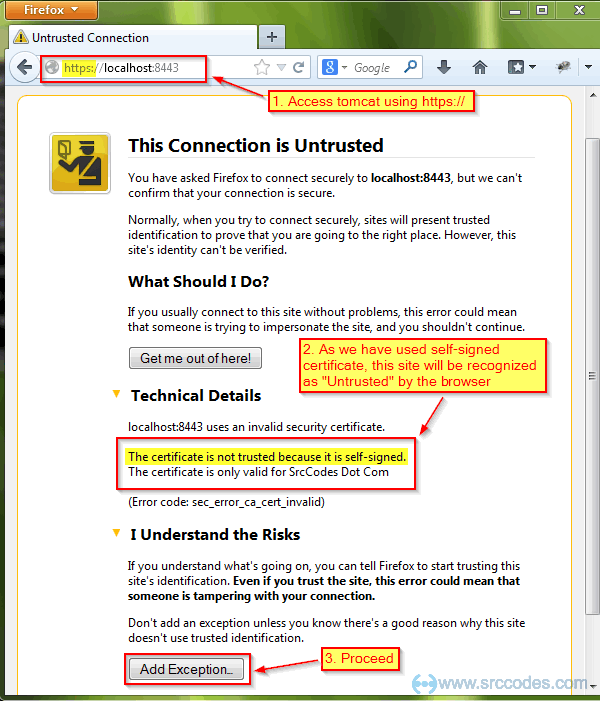 In Firefox browser, you will get "This Connection is Untrusted" message. To proceed click "Add Exception..." button. 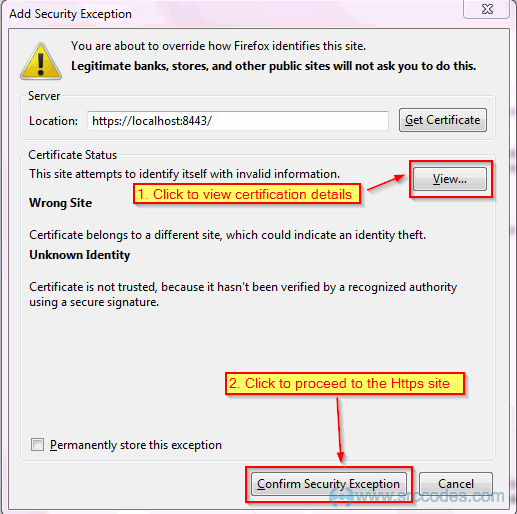 You can view the generated certificate details in "Certificate Viewer" on clicking the "View" button available in the "Add Security Exception" window. 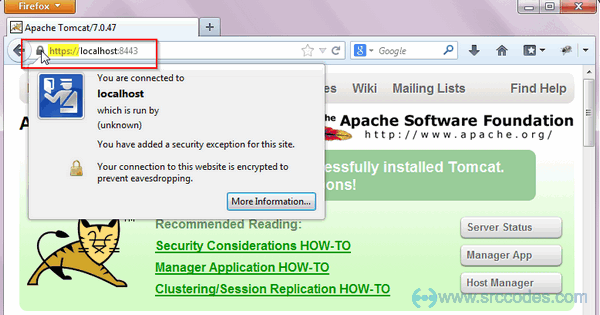 On clicking "Confirm Security Exception" button, Tomcat's home page will be displayed. 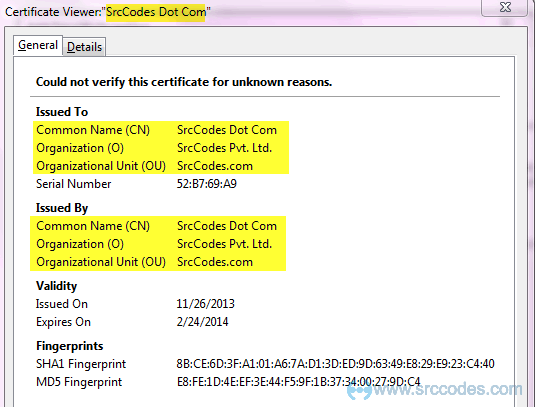 Note : For production application, obtain certificate from certificate authority (like GeoTrust, Verisign, Thawte etc.) and import the same in local keystore.